The beauty of hardwood, stone and tile, without the worry. If you want a floor that looks rich and elegant yet lives worry-free, think laminate. We do. At Century Tile, we’ve helped countless people discover this amazingly beautiful, durable and realistic alternative to hardwood, tile and stone. You will find them all at our showrooms in Chicago, Itasca, Lombard, Mt. Prospect, Mundelein and Woodstock, IL. We serve DuPage, Cook, Will, Kane, Lake, McHenry, Chicagoland counties. Laminate flooring is perfect for anyone who’s time-crunched, budget-conscious and style-savvy. Sound like anyone you know? 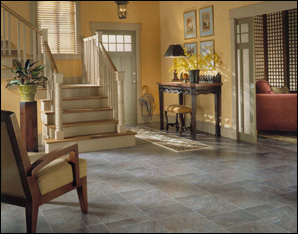 If it’s high style you want in a laminate floor, you’ll find it at Century Tile. Laminate flooring’s popularity has soared in recent years, and for good reason. All the benefits you’ll enjoy are the result of state of the art manufacturing processes. It is incredibly durable, affordable and easy to clean. Laminate is available in a wide array of styles—from rich and traditional to clean and contemporary, including today’s popular "exotic" wood looks inspired by rare wood species from around the world. Plus high gloss finishes, narrow-width planks, beveled edges and more. In addition to the vast array of styles, colors and decors we offer, there are many other reasons laminate may be the ideal choice for you. Exceptional durability: it won’t dent, ding or fade. 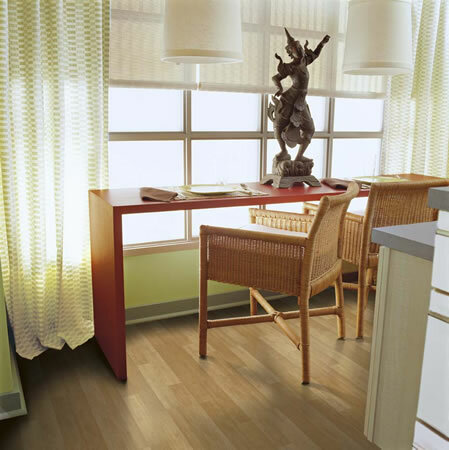 The most premium laminate floors are extremely scratch resistant so they look newer, longer. Easy to clean: Just sweep or damp mop and your laminate floor. Never needs sanding, buffing or refinishing: How’s that for low maintenance? Easy installation: Ideal for do-it-yourselfers, most laminate floors feature click-installation that doesn’t require glue. Laminate may be installed on all grade levels, and over most existing floors. Not all laminates are created equally. At Century Tile, you’ll find a range of styles to complement virtually every room in your home. Of course, style is only one consideration. Quality through and through is the key to lasting peace of mind. Core Thickness-- for greater durability. Superior scratch protection-- especially if you’re choosing a laminate floor for a high-traffic area. Realistic textures and grout lines. The best laminates not only look realistic, they feel realistic. Want more details, click here, Laminate Flooring, it’s all in the layers - for a printable PDF that walks you through laminate flooring’s state-of-the-art manufacturing process.